﻿Objective:﻿ To find out why the ground sometimes opens up and swallows whatever is above. 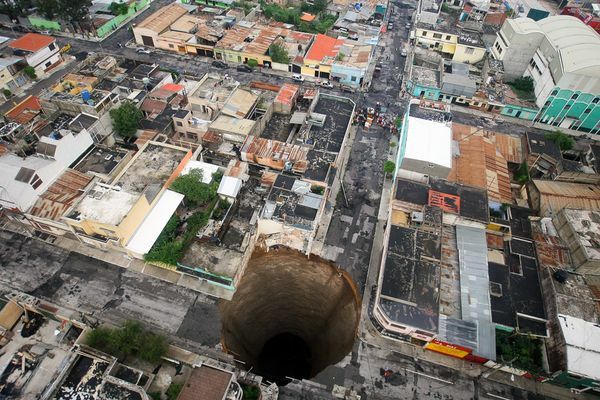 Sinkholes can happen in different locations at different times. Whether is be in the middle of a large Chinese city or the wetlands of Louisiana, USA. Watch the two videos below to get an idea what happens. Which one scares you the most? Task 1 - The image to the right is of one of the most famous sinkholes in the world. It happened in Guatemala City in 2010. Complete the worksheet below by choosing one of the following two scenarios and completing the story. On most of the news reports about major sinkholes appearing, you will hear the name of a particular rock mentioned again, and again. This rock is very special and we need to understand its formation and then how over time it can help sinkholes to form. Task 2 - Study the map to the right. 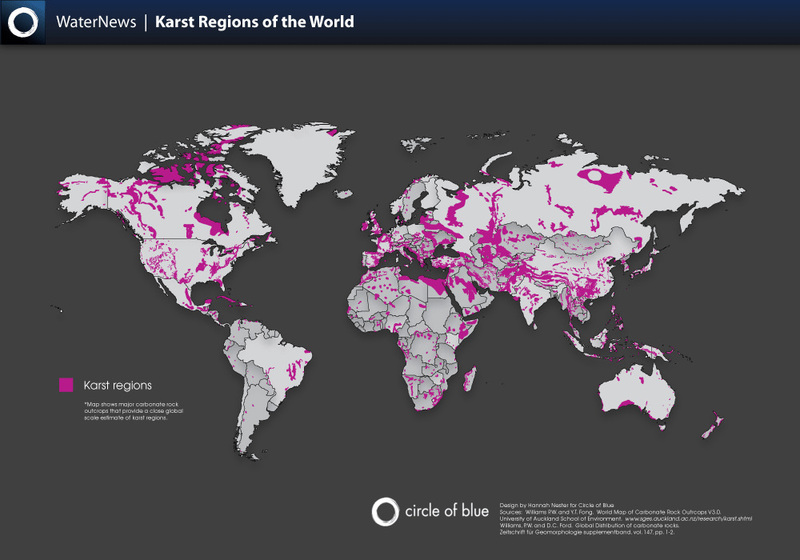 The purple areas indicate areas that have Karst scenery. This areas would indicate that there is limestone under the ground. Label the following places onto the worksheet to the right. Task 3 - What seems to be the relationship between the three places above and the existence of limestone? Write your answer on the worksheet. Task 4 - Watch the video to the right about how limestone forms. Create a four sequence cartoon to show the formation of limestone and label it to show the features you would see today. Use the worksheet outline to the right to help you. Task 5 - Sinkhole Formation. Watch the animation by clicking on the blue tab below and listen carefully to the description of sinkhole formation. 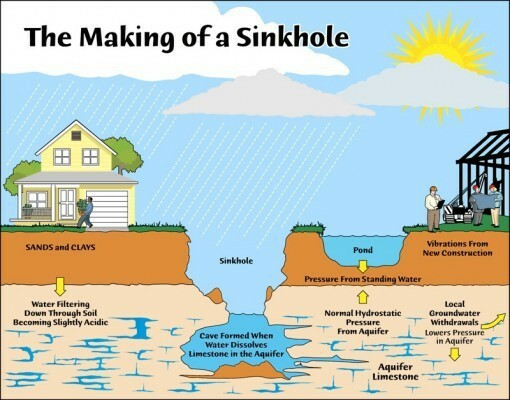 Now, create your own A4 annotated diagram to show the formation / making of a sinkhole. 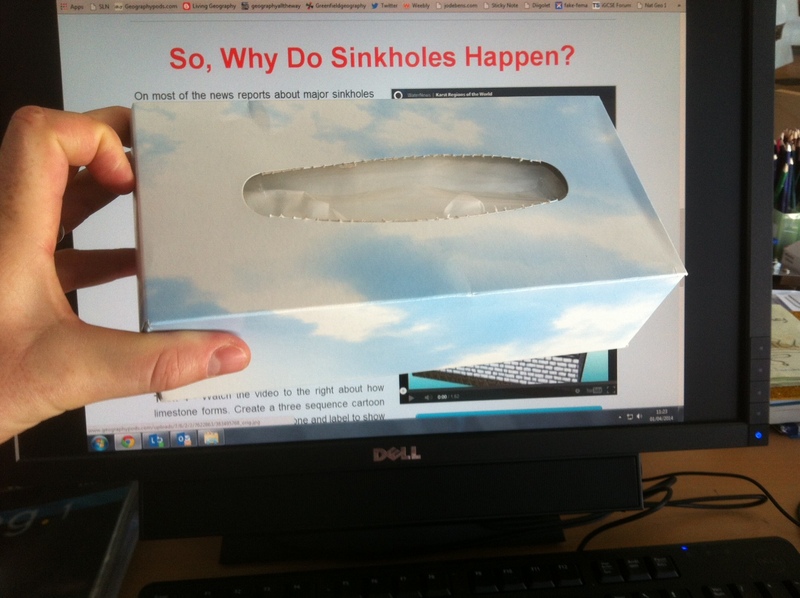 You will be designing and making a 3D model of a sinkhole. You will be given your box of tissues today but you are only allowed to open the lid and must not make any other changes to the box or the tissues inside. Study it carefully and then use this A3 Planning Sheet to start your preparation for the next lesson. * Think about how you are going to show what goes on above and below ground.